Orlando, FL – April 12, 2016— Dr. Fred Rouse, CFP, The REAL Money Doctor, was recently featured as a guest on Hollywood Live. The show was filmed in Los Angeles, California in the penthouse of the Hollywood Roosevelt Hotel, overlooking Hollywood Boulevard. 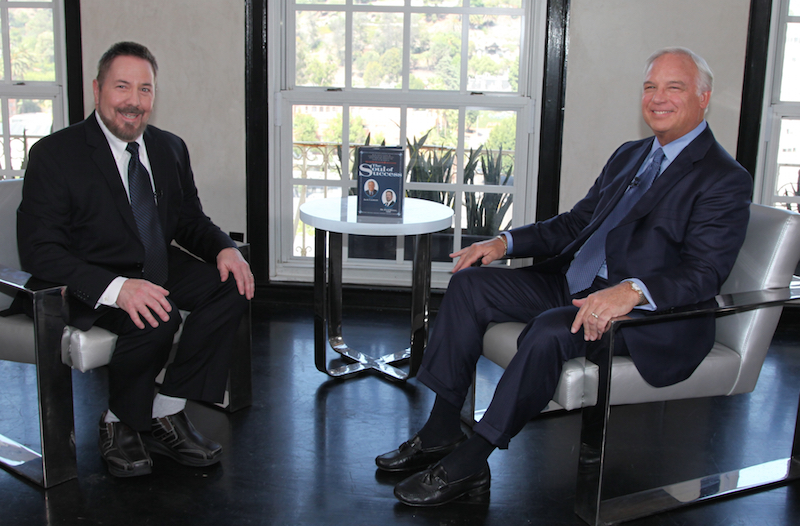 Dr. Fred was featured on the show, hosted by Jack Canfield, best-selling author and co-creator of The Chicken Soup for the Soul series. Dr. Fred shared his background and business expertise so that the vast majority of people not living off the family trust fund can get ahead in the real world. Watch Dr. Fred’s appearance on Hollywood Live here. Dr. Rouse shares his moneymaking message through his books, special reports and webinars on his two main sites, FMG-Money.com and QuietTrader.com. Dr. Fred Rouse, CFP (aka: The REAL Money Doctor & Quiet Trader) is the top Certified Financial Planner, Money Expert and International Best-Selling Author that works with select individuals and a variety of startups, home based, and other small businesses. He exposes the “Money Lies,” as told by the government, Wall Street and banks for years. Dr. Fred teaches his Clients how to fast track their money by turning those lies around exploiting them into cash, for a secure financial future. Dr. Rouse’s work has been featured on major networks like FOX News, ABC, NBC, CBS, CNN, CNBC, and the press including: USA Today, Wall Street Business, International Business Times, The Money Show, Investing Daily, and more.